Congratulations for embarking on the grand journey of finding the right high school for you — and for choosing to explore Foxcroft School. We are excited to share some of the people, places, and programs that make Foxcroft the top international boarding school for girls in Virginia. After you have a “virtual” look at Foxcroft, please pay us a real visit at the girls only boarding school in Virginia. Walking around campus, attending classes and Morning Meeting, seeing the stables and athletic center, and meeting students and teachers is the absolute best way to see for yourself what’s so special about Foxcroft. There is no typical Foxcroft girl. Each girl is known and valued as an individual with her own unique gifts, passions, hopes, and dreams. You can take risks and dare to be different without fear because you will be encouraged, supported, and celebrated. You'll make friends with all kinds of people from all over the world. Students come from across the country and around the world. 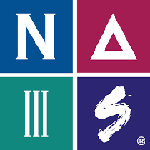 They represent a wide range of ethnic, racial, and socio-economic groups. 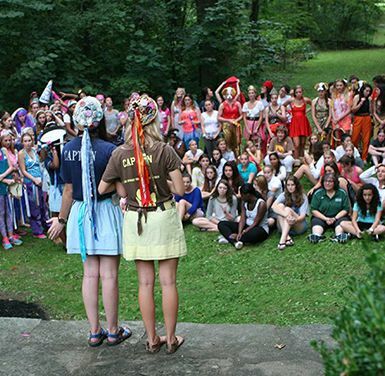 They all come together to form a special, close-knit, accepting community at Foxcroft that honors differences even as it embodies inclusivity, broadening horizons, and preparing girls for the ever-shrinking global community we all live in. Not only do 83% of our faculty have advanced degrees but 100% are passionate about teaching girls and are engaged in the community beyond the classroom. They serve as coaches and dorm parents, share meals in the Dining Hall, and meet with advisees weekly. They are available for extra help at daily tutorials and 86% of them live on campus. You won't get lost in the crowd. Our mission and philosophy, along with our size, cultivate a more individual approach, in the classroom and out. Small by design, Foxcroft has a 5:1 student to faculty ratio, an average class size of nine, and a caring faculty who mostly (86%) live on campus and truly know their students. This enables us to make sure that each student is met where she is in her educational, social, and emotional journey, and that she is given the support and/or the challenges that she needs. At girls’ schools, girls get every opportunity — they are the leaders, the speakers, the stars. 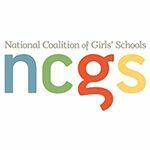 Educational research strongly suggests that girls develop the self-esteem, confidence, and sense of purpose essential to success through relationships and affiliations and through opportunities for collaborative, connected learning — all of which are best achieved in a girls' school. Unafraid of taking risks because of the support they feel, girls rise to the challenge. You'll gain independence and learn self-reliance "away from home." Boarding school teaches you many life lessons from managing time and doing your own laundry to getting along with girls who are very different from you. Our system of multiple “dorm parents” creates an extended family which provides intellectual and personal support even as it challenges you to take responsibility for yourself, to balance that with duty towards others, and to assume leadership in the dormitory and the School. 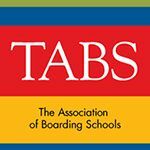 Plus, research shows, boarding school students use their time more productively, are better prepared for college, and advance more quickly in their careers than independent day and public school graduates. You will find 500 gorgeous acres to explore. At Foxcroft, teachers take classes outdoors for scientific exploration, creative inspiration, or a change of scenery that enhances focus and motivation. Students get outside every day — to play sports, ride horses, enjoy the views, or simply walk from dorm to dining hall. Kindness and community aren't just words. Intentionally small, Foxcroft is an especially warm and personal educational community full of kind, caring people. Girls come here because they like what they see, hear, and feel during their visits — that our core value is that each student is known and valued, that meanness of spirit is not tolerated, that the School’s traditions are awesome, and that students love their teachers and their friends. Alumnae cherish the lifelong friendships. Many schools tout their sense of community; Foxcroft exudes it. 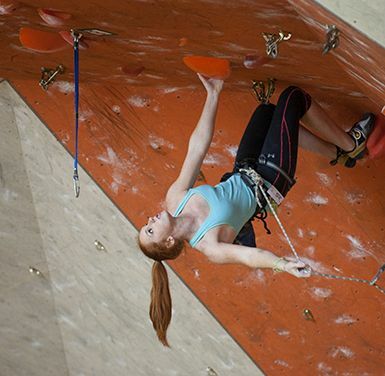 Where can you pursue your passion, be it sport climbing or playing piano, at the most serious level and still be a regular high school student? At Foxcroft! Foxcroft’s “spirit-team” tradition has been building community, developing leaders, and celebrating competition in its own unique ways since 1914. 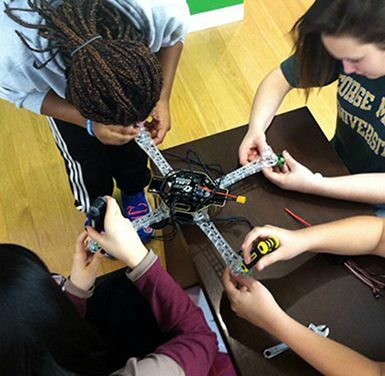 Our STEM program leads the way with innovative, collaborative, inquiry-based courses, as well as many opportunities for hands-on learning outside the classroom. Our excellent trainers, facilities, and school horses combine with a tradition of riding that flourishes in the middle of Virginia horse country.